Since the branch opened February 2003 we have made ​$1.0 Million in Community Contributions. Providing communities with a sustainable future. There is an overarching philosophy behind much of the work carried out by Bendigo and Adelaide Bank in both its day-to-day banking activities and in the work it does with Australian communities on activities unrelated to banking. In particular, our Community Bank® initiative continues to resonate with customers and their communities a decade after it was first introduced. Community Bank® branches provide communities with more than just quality banking services – they deliver employment opportunities for local people, keep local capital in the community, are a local investment option for shareholders and provide a source of revenue for important community projects determined by the local community. Special Offer for PBC Alliance customers: Up to 1.45% off the Standard Variable Rate Home Loan and up to 0.50% off Personal Loans. Terms and Conditions apply. Fraser Financial Services (QLD) Pty Limited was established in January 1998 and acts as Mortgage Brokers and Finance Brokers on the Gold Coast. The business prides itself on integrity and a genuine interest for our clients in assisting them with all their financial needs by utilising our resources of financial and insurance products. Whether you reside on the Gold Coast or live interstate Fraser Financial hope to assist you with your mortgage for that new property purchase or get you behind the wheel of that new car or truck or purchase that new piece of Equipment to better operate your business. ​Fraser Financial Services acts on YOUR behalf, our loyalty is to the customer in providing the BEST SERVICE we can offer. Let us sift thru the finance jargon, rates, terms and conditions to decipher YOUR best options. We want to make your financial experience a pleasant one. Call now for a quote - It could be easier than you think. Major Freedom was created to make your life easier and to equip you with skills and to save you time and money. We focus on increasing your efficiency by implementing systems, routines and structures. If you are an individual needing assistance decluttering, a family in need of a more effective routine, we can assist with this and everything in between. Special Offer for PBC Alliance customers: Discount rates available. Ascend Financial Management provides accounting, tax, virtual CFO, business advisory and bookkeeping services to all sized businesses, and prepares personal income tax returns and advice for individuals. We bring great insight to our clients and have a proven track record of enabling cost, tax & efficiency savings. If your business is big enough that it needs financial, tax & strategic direction, but not big enough that it can afford a full time CFO/Financial Controller, then that’s where we come in. 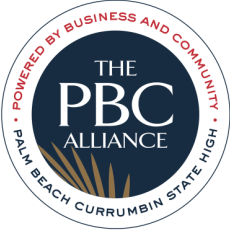 20% off all initial business consultations, just mention PBC Alliance when you call for an appointment.